Nestled in the booming Western Sydney suburb of Westmead, Highline apartments deliver an indulgent lifestyle that your inner-city friends will envy forever. Think BBQ cabanas, swimming pool rooftop garden, beautiful landscaping, CBD views and the train right at your door. Nestled in the booming Western Sydney suburb of Westmead, Highline apartments deliver an indulgent lifestyle that your inner-city friends will envy forever. Think BBQ cabanas, swimming pool, rooftop garden, beautiful landscaping, CBD views and the train right at your door. Inspired by The High Line, New York’s urban masterpiece, Highline Westmead is unlike anything that Western Sydney has ever seen. It sits at the heart of the $1 billion expansion plans for local universities, an upcoming $900 million hospital redevelopment and the start of the new Parramatta light rail. Developed by Australian developer Deicorp and with architecture by the award-winning Turner Architects, the project has already attracted substantial interest from home buyers and investors looking to secure a quality piece of real estate in Sydney’s most happening suburb. There has been a surge in enquiries from first-time buyers in particular. The development’s official ambassador, Ryan Serhant from popular US TV show Million Dollar Listing, puts this down to affordability. With 35% of its apartments priced at under $650,000, Highline is within reach of many first-time buyers’ budgets, while still managing to offer exceptionally high living standards. The apartments are available as one, two and three bedroom residences, suitable for the suburban bachelor or bachelorette and couples as well as small families looking to remove themselves from the busy streets of Sydney’s city centre. Of course, being just a 35 minute train ride away, the city will never be too far. A key design factor inspiring awe among all soon-to-be residents is the sun-filled balcony that each home will benefit from. 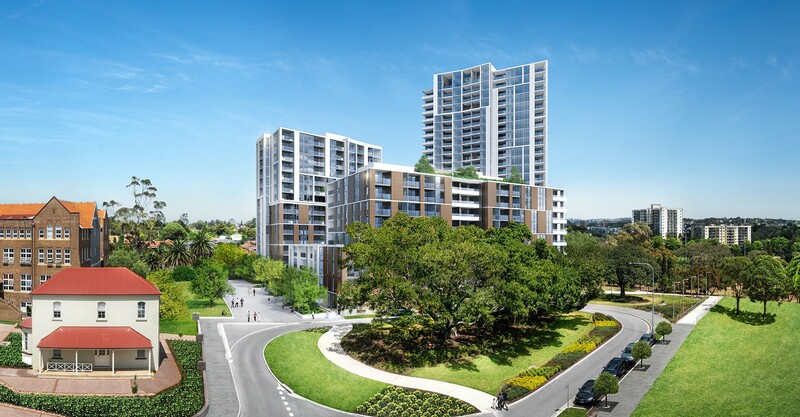 Not only will it allow gorgeous sunlight to flood the interiors, it is the perfect setting for soaking up views of the project’s beautiful landscaping, a canopy of trees rising in its surrounds and dazzling Sydney CBD skyline views. The apartment layouts are designed with thoughtful consideration to afford residents the easiest way of life possible. From carefully-composed complementary colours to expertly-selected high-quality materials, the interior design is second to none. 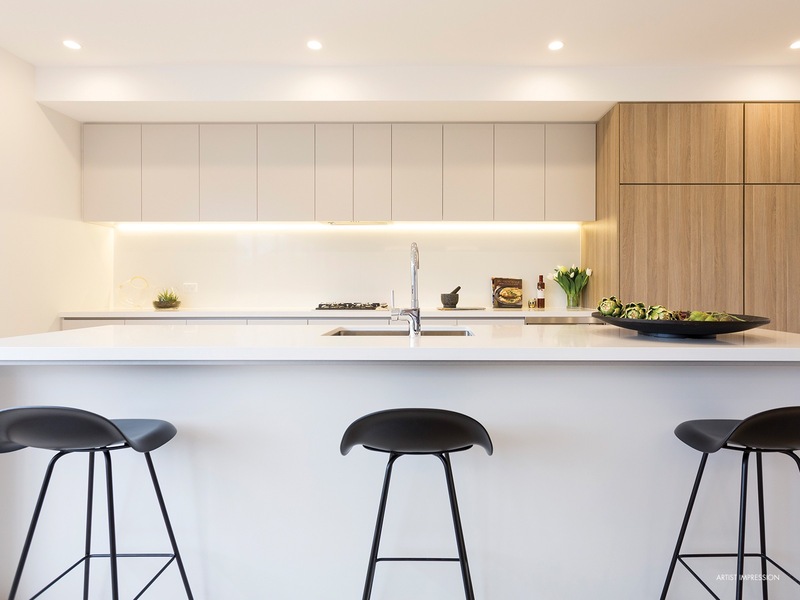 Designer finishes throughout include engineered timber floors in the living room and extend to the kitchen where Smeg appliances are fitted for the very best culinary experience. Beyond the indulgent comforts of your own apartment, you will enjoy an array of amenities that will make it difficult for you to find a reason to leave the development. The stunning swimming pool is perfect for a refreshing dip in the heat of summer and luxury sunbeds will make you feel like you’re in a 5-star resort. When the day in the sun comes to an end, make your way to your private rooftop lounge or BBQ pavilion, settings of absolute splendour for you to enjoy with the lucky people you choose to invite over. The Western Sydney suburb of Westmead has plenty to offer its local community. With over $5.8 billion of investment over the next decade, it is set to become Australia’s fastest growing economy. Surrounded by rich heritage and natural wonders, Westmead is a gem in itself – and with Parramatta only one train stop away, a world of shopping and dining possibilities is always within reach. Head to Westfield or Westmead Shopping Village to indulge in some retail therapy or make your way to Church Street to tantalise your tastebuds. For nature-lovers, park-runners and cyclists, Parramatta Park, listed as a World Heritage Site, is also right around the corner. Just a 35-minute train ride away, Sydney CBD will be close enough for easy commuting any time the city calls. Being at the start of the new light rail, taking public transport will be quick and simple too. The development’s completion of stage one is expected in late 2019. For more information or to enquire about Highline, click here. Browse more off the plan apartments in NSW here.